What on earth is a gingernut? 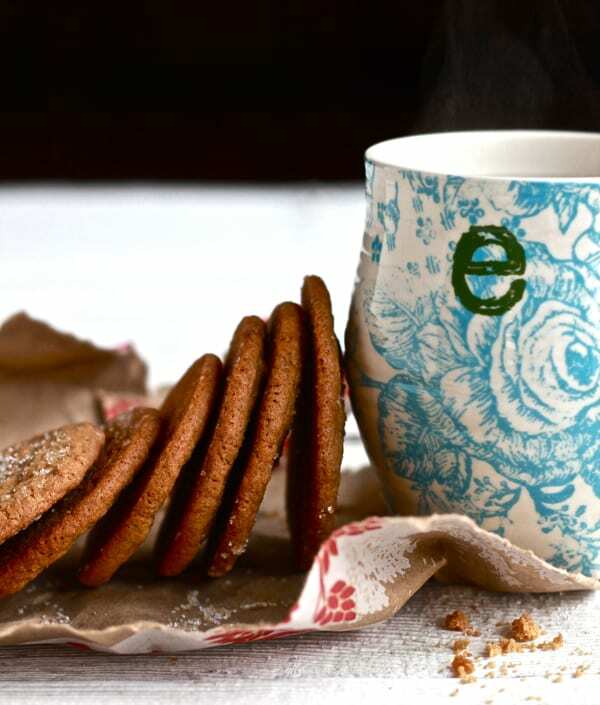 I came across a recipe in Donna Hay magazine for gingernut cookies. They looked so buttery and delicious that I just had to have them! But I was confused; did she mean gingersnap? Nope. Gingernut. Google please. 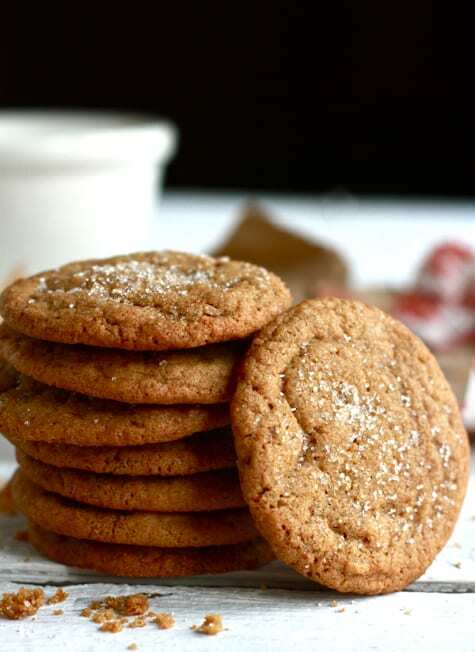 Basically a gingernut is a buttery, crisp cookie flavored with ground ginger. My googling revealed that some gingernuts will often contain cinnamon, cloves, and golden syrup. To me that’s a gingersnap. But in the UK (among other countries) it is called a gingernut. To make matters even more confusing, the term gingernuts and gingersnaps are used interchangeably. Still with me? Good. I swapped out brown sugar for Muscovado and decreased the total amount (they were a little too sweet). 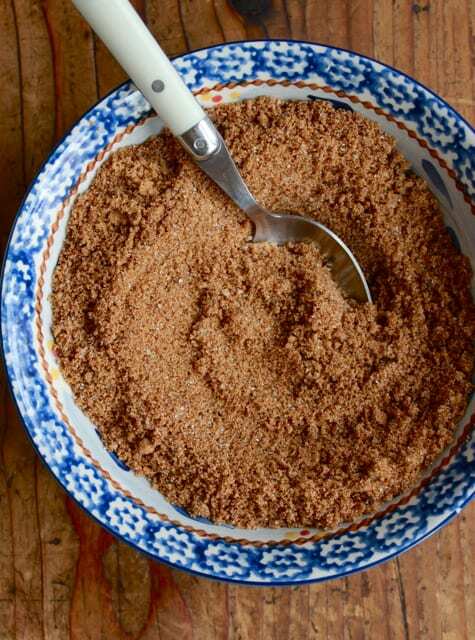 Muscovado sugar is similar to brown sugar but more toffee-like in flavor. Although more expensive, I think it’s worth the upgrade for its unique taste. Incidentally, do you know how to soften sugar when it hardens? I learned a cool trick- simply put the sugar in a bowl and pop it into the microwave with a mug of water. Heat for about 15-30 seconds and the steam from the water will soften up your sugar. Works like a charm! I think I’m in love with the gingernut. No matter what you want to call them, I thought that Donna’s recipe was a winner. 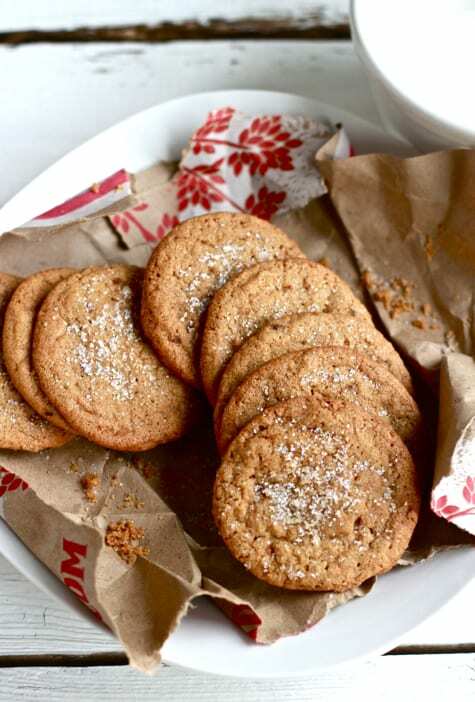 These cookies are incredibly buttery and I love the subtle ginger flavor. Really, it’s the texture that truly won me over. Thin, crisp and flat out addicting. Perfect for dunking too. Do you make gingernut cookies? Share your recipe here! Preheat your oven to 350 F. Line a cookie sheet with parchment paper. Make sure that your butter is room temperature. Soften in the microwave for about 10-20 seconds if need be. With an electric mixer on medium speed, cream the butter, vanilla and sugar until light and fluffy, about 5 minutes. Do not skip this step as the creaming method incorporates air into the batter helping to create its texture. Add the egg and continue to beat until well blended. Working over a large bowl, sift together the flour, ginger and baking soda. If you are using salt, add it now. *See notes. 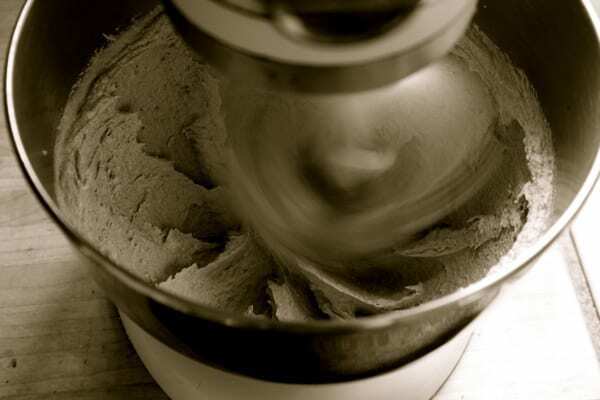 With the mixer on low speed, gently pour the dry ingredients into the bowl working in batches. Mix until just combined. Roll tablespoonfuls of the dough into balls and then roll in the sanding sugar. Place onto the lined cookie sheet leaving room to spread, about 2 inches apart. Sometimes the dough will be too sticky to roll. If this happens, simply scoop out the dough using a small cookie scoop (or tablespoon) onto the cookie sheet. Sprinkle a generous amount of sugar on top. Either method will work. Bake for 10-12 minutes or until the edges are golden. Cool on wire racks. If using unsalted butter, add ½ teaspoon of fine grain salt (table salt) to the dry ingredients. Here in Australia where Donna Hay is, we can buy gingernut cookies in packets at the store but home made like yours are much better! These look so good! If you have any left over, warm them in the microwave so they’re a bit soft and then form them into little tart shells and fill with dulce le leche or caramel filling and top with whipped cream. Perfect finger desserts for the holidays. Oh wow. That tart shell idea sounds AMAZING. I have plenty of leftover cookies to try this one out. Thanks for the tip!! Gingernuts are an old favourite in Australia especially with the menfolk. They also make a great biscuit base if you crush them and add melted butter then press this mixture into a tin then fill with a cream cheese (Philadelphia) cheesecake or similar. Yum! I love Gingernut cookies – I agree with Maureen, we can buy them in the shops here in Australia, but your cookies look so, so much more delicious! Beautiful photos as always! Hi u mentioned 1¼ flour… is it in cup? Hi Vivienne! Thanks for your feedback. I don’t have the conversions handy, but you can input the amounts into most online calculators with great results. Hope this helps! 1 1/2 sticks is equivalent to 12 tbsp or appx 170 g.